Whitewater Rafting in Style with My New Azzurro Mare 13 feet AMR385. 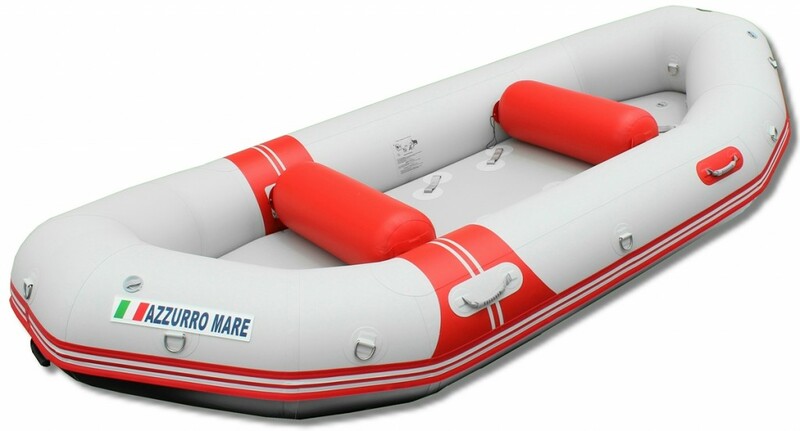 HomeBoatsToGo - Blog About Inflatable Boats, Inflatable Rafts, Inflatable Kayaks And More...Whitewater Rafting in Style with My New Azzurro Mare 13 feet AMR385. My family has a somewhat unique hobby that we all enjoy together. It is usually the focus of any family trip we take, whether they are week long excursions out of state, or just quick weekend getaways or day trips. This hobby is whitewater rafting, and I have often felt that the sense of camaraderie and the need to work together when navigating rapids has made us a closer knit unit on a daily basis. Plus, speeding through rapids is just a huge amount of fun for everyone. Until relatively recently, we used to just rent whitewater rafts wherever we went. It was simple and convenient, but over the long haul it was somewhat costly. There were also other negatives of rafting this way, such as never being able to truly get used to your gear since you were using new equipment all the time. There was also the issue of consistency of quality, as some of the boats we’d rent ended up being too old and worn to perform like they once did. So a little over a year ago, I decided it was time for the family to make an investment in our favorite hobby. So I set out to find us the perfect whitewater raft. After plenty of searching, we ended up going with the Azzurro Mare 13’ AMR385. And we all agree that this has proven to be a very wise decision. The Azzurro Mare AMR385 performs at a level that will allow you to traverse pretty much any class III+ whitewater you want. Its high rocker was designed to add excitement to your ride, and it has certainly delivered for us. Despite being a comfortable-sized raft, the Azzurro Mare AMR385 is extremely light, fast, and easy to handle, which results in it outperforming basically all of the heavier rafts we have used over the years. And for us, performance was the main key when choosing a boat. Another great advantage of the Azzurro Mare AMR385 inflatable whitewater raft is its durability. Or should I say “indestructability.” This vessel has a bottom made out of extra heavy-duty 1.5mm PVC fabric, which is almost double the thickness of standard whitewater rafts. Then there’s the protection on the tubes themselves, which features two layers of that same 1.5mm PVC. This makes the tubes completely puncture proof and resistant to any abrasion. Add that to the extremely helpful self-bailing system, and you can feel comfortable knowing that your family will be safe when you take them out on a week long river rafting trip. This raft is also extremely versatile. For example, if I go on a trip with my wife and two kids, we have the option of paddling down the river or actually attaching a rowing rig. But if we bring friends along, we can go back to just paddling and fit up to 8 people in the boat. Additionally, the Azzurro Mare AMR385 doubles perfectly as a fishing boat for those days when you feel more like leisure than adventure. And one more thing that made me fall in love with the Azzurro Mare AMR385. It’s a raft high-level enough to be used by many commercial rafting shops, but at a price that the average consumer can afford!